"How does one become a parliamentarian when one is so young?" is a question I receive regularly. "How does the European Parliament keep you from assuming your role as a publically elected official for so long?" is another. They're not keeping only me from assuming my role. There are a total of 18 Lisbon-seats, that is, seats added to the total size of the parliament (currently 736) by the Lisbon treaty, the new status of the Union (more or less), which entered into effect December 1 2009. In almost two years, many changes mandated by the treaty have not been implemented yet, among those the inauguration of the new MEPs. We come from a total of 12 European countries and represent political views from across the political spectrum in our various member states. It turned out that a domestic dispute in France, receiver of two additional seats according to the Lisbon treaty, regarding how they would name their extra MEPs (me, Josef and Joseph always "knew" that when inauguration time came up, we would be representatives - France did not have specified people to fill the seats) created dissent and controversy in, of course, France, but also in the EP and the Council of Ministers - how to write the transition protocols (documents describing how the change from one treaty to the next would take place) in such a way that the French domestic dispute wouldn't have to be solved at a European level? It took the parliament 6 months to figure this out, upon which a document called protocol 36, specifying the transition rules, started being circulated for signing and ratification by member state parliaments in summer of 2010. Protocol 36 was signed and ratified by the Council of Ministers and the European Parliament, and because it constituted a change to the Lisbon Treaty (they had altered the wording of subparagraph c) in article 23, if I'm not mistakenly reminded) it needed re-approval by member state parliaments. Joseph Cuschieri collaborated intensively with the European Parliament local office in Malta and compiled an estimated time-frame for ratification in all member states - at this point we had some form of reference document to be used for when "lobbying" efforts were required in which member state to speed up the process as much as possible. 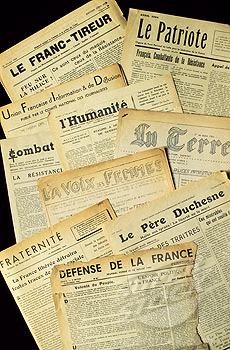 France was at this time a point of constant concern - the news from France were uncertain. 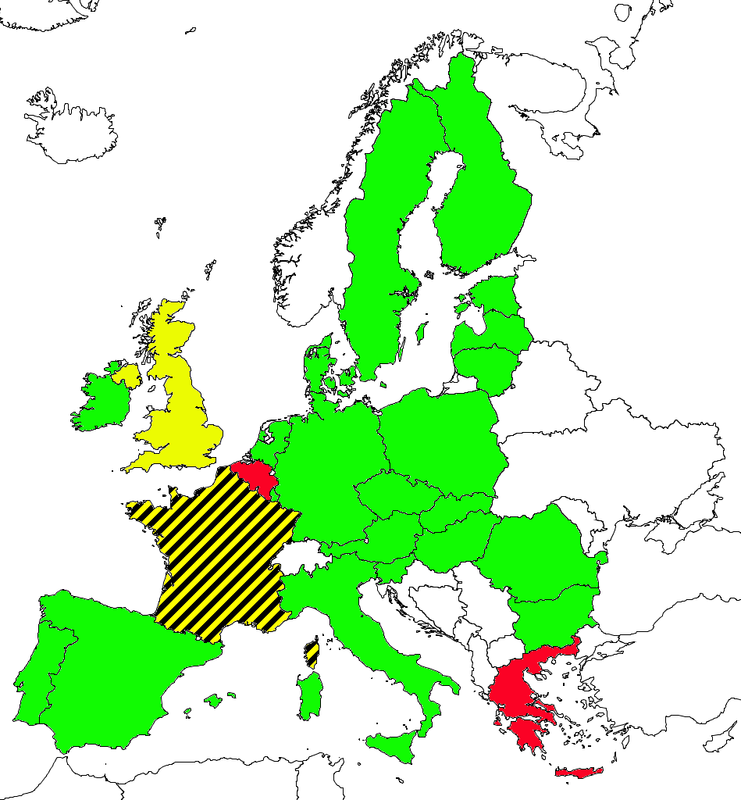 What needed to happen in France for protocol 36 to be approved? There were rumours of conflicts between the French socialists and the French conservatives. Inside the European Parliament it appeared that the French socialists, currently the largest national faction inside the European socialist group S&D, were unwilling to have the European Parliament take a strong role for the installation of the new MEPs - it also seemed the Conservatives of the European Parliament (EPP) were unwilling to cross the socialists in this matter. Kārlis Šadurskis figured out that there was a constitutional change under-going and that it would be completed earliest by May 12 2011. After the constitutional change was arranged, the protocols could be treated and signed by the French president and national assembly. At this time, when there was a more definite time-frame for France (who were always the most uncertain element in this - and still are!) the focus could be shifted again to other member states that didn't yet sign: in April there was a number of them (Poland, Romania, Greece, UK, France, Belgium, and a few other ones). L-MEP Anthea McIntyre provided continuous reports from the ratification processes in the UK. The road of protocol 36 in the various member states looks different depending on the parliamentary system in use: in the UK it passes between the Government, House of Commons and House of Lords and possibly someone else, where each step of the way is another cliff-hanger. The last news I've had from the UK are no news, which is good news - according to Anthea McIntyre the House of Lords could have objected to the ratification about 1,5 weeks ago but there have been no news of them using this privilege. When Poland and Romania ratified about 3 weeks ago (mid-May 2011) we started talking again about trying to meet up with President Buzek from the European Parliament (whose role can be described a bit as "spokesperson" in the Parliament - chairing plenary and representing the Parliament institutionally, not politically). L-MEP Tomasz Makowski assigned himself the Task, by virtue of also being from Poland. President Buzek was contacted on behalf of the Polish L-MEP Arkadiusz Bratkowski. (revised Oct 23 2011). Currently, the UK process is undergoing but probably not entirely finished (to my knowledge). In France, the office of the president must still be signing the Lisbon Protocol 36 and this has yet to happen. The news from Greece are uncertain. 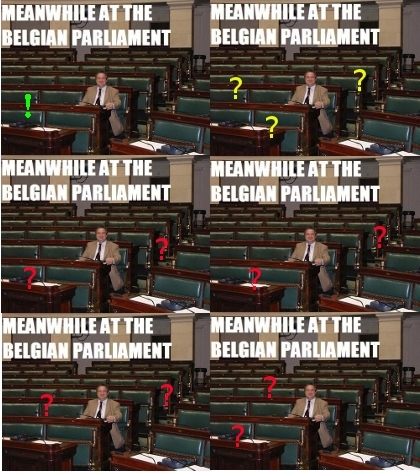 In Belgium, all six national parliaments must sign (Brussels parliament, Flemmish parliament, Wallonian parliament, French-speaking Community parliament (apparently Wallonia minus the German-speakers plus the French speakers of Brussels), German-speaking Community (Wallonia minus the French-speakers), federal parlament), and currently we've found out only of the German-Speaking Community signing the protocols about 3 weeks ago, the Flemmish parliament starting preparations to sign the protocols about 2 weeks ago and from the remaining parliaments there are no words. Given the precarious political situation of Belgium at the moment, it's slightly uncertain what will happen when the protocols pass all parliaments - will it still need to be dealt with at the executive (federal government) level and if so how? One last word of caution: undoubtedly it is very positive that only four member states have still to sign, two of which (UK and France) seem to only have to undertake a pure formality, but I heard in the grapevine that France may possibly want to wait with inaugurating the Lisbon-MEPs until the time that they can fill their additional two seats in the national elections next year, 2012, in April. Whether it's within the scope of what France can or cannot do to accomplish this I don't know. Technically, the European Parliament could have made the bureaucratic decision to include the L-MEPs as observers (a special transition-status for MEPs) last year in September (2010) but decided against after opposition from what I understood to be French politicians. This is the EU. If Kafka were alive today he'd have written the Constitution. Malta is not coloured in on the map because it's too small. I only count 26 coloured in areas. I appear to have forgot to colour in Cyprus, European member state since 2004, the status of ratification within which is also unknown to me. The big white blotch on the Balkans is due to become smaller in 2012 when Croatia joins the Union (they are the country that look a C in the North). An interesting issue not solved by any transition protocol as of yet is what will happen with the Lisbon constitution of the parliament (fixed number of MEPs 751) when they need transitional observer representation (a system applied in the case of Romanian and Bulgarian ascension between 2007-2009) in the Union's strongest democratic governing body. France knows how to focus on their own interests. Hah. Other countries know how to accommodate for France being indecisive. Big difference. If I were in your shoes I would have the feeling that the whole election was sham just by the way they have handled your position so far. Hopefully, we can see you become the youngest member of the European Parliament and fully functional really soon! oh, I'd not realised that the UK was one of the hold-outs. Is there anything I should be doing (as a UK citizen) to push ths forward? Or are you certain it is just a formality? @Dan: The formality presently lies in (I'm guessing a bit, I'd have to ask Anthea McIntyre to know for sure) the prime minister signing the decision to ratify taken by the British House of Commons about a month ago, and then submitting the papers to Rome (which is the location designated for safe storage of all the Ratified-papers). It's more or less a formality. One could ask the UK prime minister to accomplish this as soon as possible, and apparently both Angela Merkel (Germany) and Nicolas Sarkoszy should be urged to follow his good example speedily. Working on this! One thing I would very much like to see debated in for instance media is the way the big European member states have played this transition process out - France essentially single-handedly blocked the inauguration of observers for about two years by now - and bear in mind that decisions taken under the Lisbon Treaty (as they are currently taken) can only be taken by the full parliament which includes me and my colleagues!! An essentially, well, "unconstitutional" disruption of the democratic delegation of power now, through the continued delays by big MS state chiefs (prime ministers, chancellors, presidents in UK, DE, FR) in signing protocols, perpetuated. I find it disconcerting that domestic squabbles inside the larger member states have such a disproportional impact on the democratic state of the entire Union. It doesn't seem right to me. @Karin: The rest of the legislature (=mandatperiod, or at least the closest translation I've been able to find of mandatperiod) is 3 years (up until June 2014) and we'd get to sit the remainder of this time. How it works formally or practically I don't know. The political groups will have to enter into negotiations with each other about how the new seats get distributed over delegations, committees and such. I guess someone will call me or send me a letter about where I have to present myself and when, but I'm trying to keep in touch with the Green Group (that the Piratpartiet is co-operating with) and their secretariat to see what is happening and how. How does it work once you and the others finally become MEPs? How does your term-time (mandatperiod typ) count? Hi, the president of the EP says this week that the new 18 meps will be probably take their seats before the end of the year 2011. What do you think? Well, if the French National Assembly were to name their two extra MEPs before their summer recess (July 15 or so) and if the Belgian French-Speaking parliaments (there's two of them) could get their thumbs out of their arses we could be full MEPs by September 2011. Since French-speakers are inherently against European democracy (apparently) and the President of the EP does not speak up on our behalf I fear the President of the EP is correct - we shall not be able to take our seats until November or December 2011 at the soonest. Ok. Thanks for the information. But I see Romania and UK is still having too to ratify the protocol. I really would apprecciate if you keep me informed about the procces. Thanks a lot! Hi Amelia. I see only have to ratify Grece, Rumania and Belgique. (http://www.consilium.europa.eu/policies/agreements/search-the-agreements...) Do you know how long it will take to these 3 countris to ratify? Do you have news about your entrance in the EP? Do you think it will be in september or eventually next year?